After two days of talks in Beijing between top officials, the countries have agreed to continue "close communication," according to a report by China's official news agency, Xinhua. The negotiators reached agreement in some areas, including on increasing exports from the United States to China, trade in services and intellectual property protection, Xinhua said, but it didn't give any details. "Both sides realized that there are some relatively big differences on some issues. And more work needs to be done to achieve more progress," Xinhua said Friday. The White House described the talks as "frank discussions" aimed at fair trade that will help the Chinese, American and world economies. The American delegation said it was committed to "securing fair trade and investment terms for American businesses and workers." President Donald Trump tweeted late Friday that he and the delegation "will be meeting tomorrow to determine the results, but it is hard for China in that they have become very spoiled with U.S. trade wins!" Fears of a damaging trade war between the world's top two economies have grown in recent months after the United States and China threatened to slap steep tariffs on tens of billions of dollars of each other's exports. US moves against Chinese smartphone makers Huawei and ZTE (ZTCOF), and Beijing's decision to tax American sorghum have ratcheted up the tensions. In a statement Friday, China's Ministry of Commerce said it had lodged "solemn representations with the US" about ZTE during the Beijing talks. "Irrespective of any short-term deal ... trade friction will be a permanent feature of the next few years," Richard Jerram, chief economist at the Bank of Singapore, said in a research note on Friday. Trump had previously called for China to reduce its huge trade surplus with the United States by $100 billion, a demand experts say Beijing would find it difficult to meet. According to The Wall Street Journal, the US delegation doubled that figure in the Beijing talks, handing the Chinese government a document that demanded a $200 billion cut in the trade imbalance by the end of 2020. The reported list of demands also includes halting Chinese subsidies for advanced technologies and slashing tariffs on imports of American products. 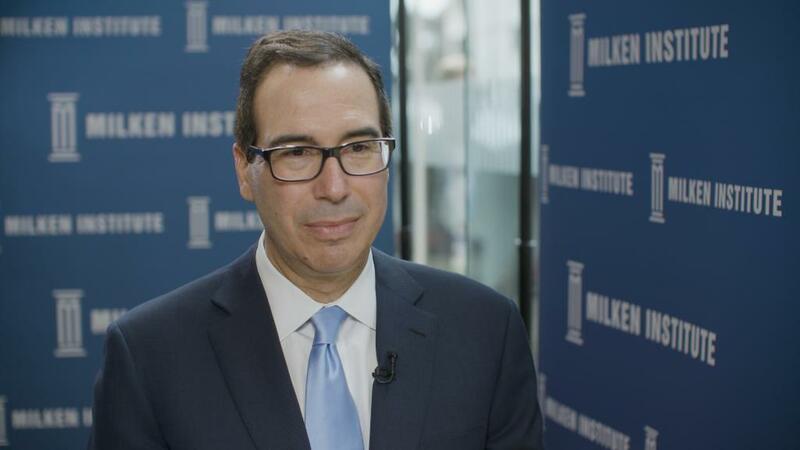 Trump's delegation of top economic advisers included Treasury Secretary Steven Mnuchin and Trade Representative Robert Lighthizer. They met with a Chinese team led by Liu He, President Xi Jinping's top economic adviser. -- Nanlin Fang, Tim Schwarz and Serenitie Wang contributed to this report.